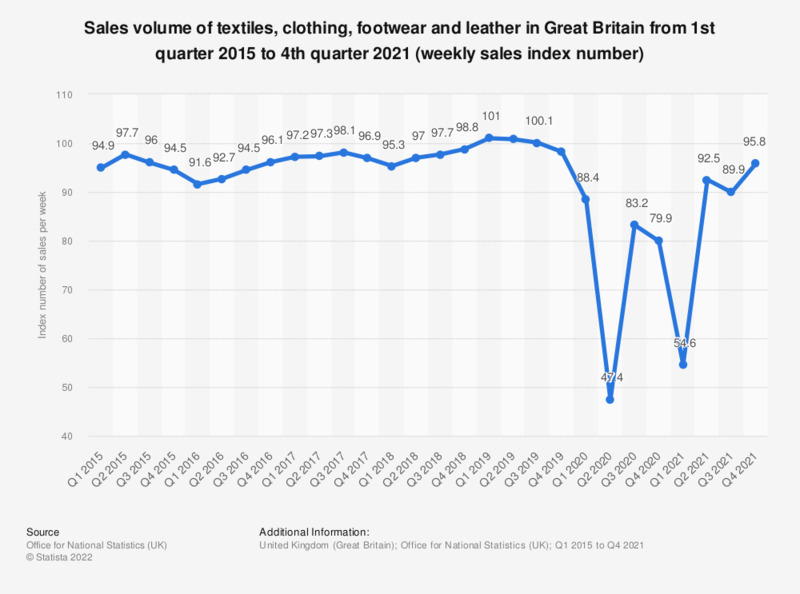 This statistic shows the quarterly trend in the volume of textiles, clothing, footwear and leather goods retail sales (quantity bought) in Great Britain from 1st quarter 2015 to 2nd quarter 2018. The figures are seasonally adjusted estimates, measured using the Retail Sales Index (RSI) and published in index form with a reference year of 2016 equal to 100. Over the year 2017, retail sales of textiles and apparel peaked in the third quarter, when the index measured at 104.4. Figures are seasonally adjusted, chained volume of retail sales in predominantly non-food stores.